Hope mother and baby are well, think of the Boro merchandice you can buy! As for the blog, it will be what it will be. As one of the original contributors it has been my football ‘navi’ for many years, it will be a shame if it ends but we will get over it. Don’t know what to make of Palace v Swansea result. It keeps us clear of four teams so lets take that as a positive. Zaha flies off to African cup now so there is another plus. The cup is a chance for game time, a chance to get a win under our belts or a distraction. Take your pick, probably all three. I think what we’d benefit most from is a central midfielder with a knack for arriving into the box and scoring goals. A Lampard, Dele Ali or Kevin Nolan type. Ideally, this would be a player with Premier League experience and the sort of work ethic demanded by Karanka. I’m scratching my head trying to think of one. If only Forshaw could be developed this way (maybe he can). In Europe, the best I can come up with that wouldn’t cost £40m+ is this guy https://en.wikipedia.org/wiki/Nabil_Fekir but I don’t know too much about him. Beyond that, I think the squad is more than capable of staying up and just needs some tactical tweaks and a more attacking outlook. Snodgrass is probably the closest in an affordable bracket but I can’t imagine Hull letting him go to a rival for reasonable money, even uf he is out of contract soon. PS Meant to say congrats to Selwyn and thanks to Jarkko for the mission-statement link. I’ve just signed up to the DiasBoro blog, there’s momentum building there. I suggest we stick to the Diasboro blog rather than my alternative Uniquelyboro one as it makes more sense to keep everything together. I will leave it “open” for a while longer as a “just in case” plan b but will just post on Diasboro to keep things simple. There’s been arguments this season that we have some really good players, and if AK just let them play we’d be doing a lot better. As Hobie Doyle tried (and failed) to say in Hail Caesar, “would that it were so simple!” It isn’t. “…Coaching is (a) hobbyhorse of Dunphy and Giles. They believe there are too many egotistical bluffers in charge of young teams, promoting brute strength over artistry and beating kids into rigid systems, stifling their imaginations. “If you speak to anybody involved with youth soccer in Ireland or Britain, though, they will tell you that while that stereotype still exists to a degree, it is largely outdated. “In my limited experience this is true. A couple of years ago, on a week off, I did the level one coaching qualification with the London FA up in Walthamstow. There was about 35-45 of us in the class, most of them coaching teams already, and I couldn’t see any of these ‘route-one, get-*expletive*-well-stuck-in’ dinosaurs. Why not copy and paste onto Dias Boro and do that for all posts so we can transition to the new site seamlessly? Big fat like 4 that 1 OFB. I wonder if AV will retain the rights to all previous posts from over the years – will he lovingly cherish them, dust them off occasionally, even perhaps use them as source content for a book – or will a button be pushed whilst someone holds a gun to his head and they all disappear into e- nothingness? Nice one, Spartak. Touché ! There are a few clues as to perhaps why UntypicalBoro has been cast adrift. The Gazette online currently has this gem from Dominic Shaw. ‘Reports claim Gestede will sign a three-and-a-half-year deal at the club and could be in line to make his debut in this Sunday’s FA Cup third round tie against Sheffield Wednesday. It’s another example of Boro acting quickly to get their priority targets through the door, as they did in the summer transfer window. It’s the epitome of the sycophantic and the ultra bland and a pointer as to why UntypicalBoro has been, seemingly, dumped by the Gazette. It offers nothing at all. What reports would you be referring to then Dom? The Gazette’s? I doubt any other news outlets are following this story so why not say so. Some specifics would be nice, don’t suggest nothings otherwise. And then the cringe inducing line of Boro acting quickly to get priorities done. Talk of spin to make it look a good thing. Show me a Boro supporter, BP or Nigel Reeve aside maybe, who can see a positive in this and, if not, then where is an objective questioning of a remarkable piece of sales business. Villa would take the deal at a half of the price, so why not point that out? Or suggest we have a far more prolific scorer in Rhodes. Or dwell on RG’s character and his pending welcome by the fans. And more. As for the support up front for AN statement, well, an insight indeed. Appalling journalism, matched only by the online lead with Fabio comparing AK to Fergie. Cack eyed spin again, but the Gazette is ever more the PR dept of the Boro. There’s also a piece from Adam Clayton saying how good 2016 has been, subjective of course, but it’s all a plus. Where’s the Berniesque contradiction? This is now a seriously poor football offering by the Gazette, it would be interesting to know where the editorial directive comes from. AV’s blog strength was as an enabler and moderator and he did both very well. If the paper or club or whoever can’t take that, it’s poor form indeed. Open debate is a strength in any society and the Gazette and AV’s tossing aside of the blog is petty and indicative of low character and judgement. If they felt its time was up or it was taking up too much time, a simple line would have sufficed. That’s life, most people would understand. Oi! keep me out of it!! I only meant that you tend to look for the positives first Nigel. I hope I’m wrong about RG but I just can’t see it. I know, I was only joking. I can see the positives in signing Gestede, so you can put me in with Nigel and Phil if indeed they are relatively positive about his arrival. I’m not jumping for joy but I can see the logic. That said, until we start creating more chances and supporting our front man, I think any striker will struggle for goals. Well, Richard, you had your doubts about Fabio. I knew, when he arrived, that he had one heck of a shot on him and could really offer something going forward and out wide. He’d proved that for United and against Boro themselves, with the stunning strike v Cardiff that woke AKBoro up and saw them come back to win 3-1. Similarly, you’ve doubted the value of United outcasts. Burnley are undoubtedly indebted to Tom Heaton and Michael Keane. David Gill laughed at Roy Keane’s £12 million bid for a permanent deal for Jonny Evans, who would’ve been “worth every penny” to Sunderland back then. That’s documented. The Fergie comparisons? On the surface, ridiculous, but with a little consideration they do hold water. Fergie was no stranger to selling or falling out with popular or talented players even when United weren’t winning things – see: Paul McGrath, Norman Whiteside, Ruud van Nistelrooy even (for all his goals, United managed one title in his five seasons). His decisions would, at times, defy football surface logic – selling Ince, Hughes and Kanchelskis and not signing a high profile replacement, while his rivals invested heavily in the exciting likes of Collymore, Les Ferdinand and Ginola. At one point his United were, I believe, ten points behind Keegan’s Toon – yet we know who got it right in the end. In AK and SAF, I see a footballing figure who has everyone or someone on his case, for admittedly not unfounded reasons, but gradually, ultimately gets things right. And both built from the back – easy to think of Cantona as the difference in Fergie’s first great team but Schmeichel, Bruce, Pallister and Irwin were equally crucial. Ditto Stam, Berg/Johnsen and Gary Neville in 1999, and Ferdinand, Vidic and Evra in 2008. Gestede is a squad player, Nugent seems likely to leave and is some years older. You can say it has improved the squad, how much time will tell. I read on here various reasons for pending closure of the blog, I have even floated some reasons myself. I certainly don’t know the actual reasons but I am surprised we haven’t heard anything from AV. My hunch is that he has done “exactly” as instructed. Any further contribution could have been construed as in breach, therefore any further action would have had to be terminal or nothing. Given the options I guess he done his best under the circumstances which was nothing. Rock and a hard place I suppose. The avatar I mean. UTB! Just took me ten years to figure out how to do it! I tried to do it again today. Perhaps I am too old for this IT stuff. I failed again. Rudy’s scoring record seem to be as good as Negredo’s in the PL. So he is not that bad as people think. Just give the lad a chance. It is a team AK is building. Not picking the best individual players. So I trust AK has something up in his sleeve. So let’s just enjoy the ride. That said, I genuinely think RG is a replacement for Davie Nugent. Next, I hope we will see an attacking right-sided midfielder coming. I think we have possibly £15 M available but ONLY when a right player becomes available. With Gestede his scoring record is irrelevant. My opinions on him as a person were formed over a few months some time ago when an innocent pensioner was victimised for doing no more than a multi millionaire was guilty of doing on a sporting field of play, in other words blatantly winding people up. Football is a passionate game and it boils over on many occasions. The build up to events were controversial, the timing of it meant a great deal of anger, joy, euphoria and despair soaring depending on whom you supported that day. Running over to your own supporters is one thing but there was a devilish enjoyment in riling up the adjoining home support and those Blackburn players knew exactly what they were doing. It was simply the same immature actions of a group of young lads in their twenties on a party night in the town, I fully understand that but what unfolded afterwards was as a direct consequence. To then play the victim of the whole scenario was a very poor and tasteless act. A simple thought occurred to me at the time. Had that been me and I was euphoric and wanting to celebrate with my colleagues and visiting supporters why would I have been looking or even remotely aware of what the departing home fans were doing, saying or thinking? There is only one reason for it and it was as basic as the hand gestures and verbals that were being directed back at him and his spoilt petulant friends. I doubt deep down he gave a stuff about the ongoing court case and the costs involved or the effect on the accused (personally I think they both should have been in the dock or neither of them). My other half knows the elderly gentleman involved and whilst he was less than proud of his anger that day he is most definitely not what he was accused of being (in fact the complete opposite is true) and that is where the greatest hurt lay and the long months of fighting to clear his name and reputation. It was all very unnecessary and handled very badly by all concerned and went on to discredit even the police officers involved but only after a long battle and a retrial. I am shocked, surprised and bitterly disappointed by the club in even thinking to sign Gestede. The fact that they have speaks volumes to me but I won’t be cheering, clapping or supporting him. Maybe I’m the only one in the Riverside who feels this way, there again maybe not. Well said RR, I’m sure there are may people who on reflection feel this way too. RG is not Marlon King clearly but it still shows a disconnect between club and community which is deeply worrying. It’s one thing for any club to try and be pragmatic with a signing but this is something else. Well gents, its time to move on. I’m off to the DiasBoro blog, hope to see you all there. I’ll see all you chaps in the Diasboro cafe. So long, Untypical Boro, and thanks for all the fish. Like Nigel I will now be making the over to our new home. Before I do go though I would just like to record on here that AV achieved a unique football supporter experience in engaging with fans and providing a platform that was way ahead of its time. It has lasted for over a decade and in that time it has been without doubt the most enjoyable read on all things Boro. The accolades and awards are all well earned, hard earned and deserved, they can never be erased, ignored or removed. The legacy that he built has stood the test of time and still is having now carried on in his absence, what a lasting tribute that is. There have been many who questioned and disagreed but even those with extreme viewpoints were both tolerated and given the opportunity to put their points across. The credibility it provided to his employers is immeasurable the free market research to the club priceless. Life changes and commercial diktats change in all our working environments, bosses and managers come and go. Some make changes that benefit and some are, well more Strachanesque shall we say. Who knew what the future held back in 2006 and who knows what the next decade will bring but who can forget pieces like “Billy Fury Fuels Forest Fire”. For anyone in the future blowing dust and cobwebs off this site having perhaps stumbled upon it by chance here is just one link that just exemplifies what made AV’s blog great. Just fitting thrre’s been an earthquake off the NY coast as a siesmic shift occurs from Untypical to Diasboro- come on AV pop in & say hello! I didn’t doubt any of that, some of my earlier posts has such things amongst possible scenarios. As an old boys end inhabitant at Ayresome Park the chant used to be ‘over the wall we go, all copers are nannas!) as we fled down to the front of the bob end behind the goal. Pre 1966 seats and all that. Slips on ring of power and disappears! We tick most of the boxes which we would like to tick, but what is our greatest need right now, when the window Is open?. In my view, we have been chiselled out of, oh, Six points? by extremely large players. One point by the Chelsea striker, three points by the Burnley striker, three points by the Everton striker, and most certainly by the man utd striker another three points. Note, I do not attempt to list the goals prevented by our lack of a forceful presence in the opposition box. So can we sign any player who represents brute force? Because if we don’t I fear the worst. So long UntypicalBoro and thanks for all the fish. Hats off to AV with many thanks for all the hard work, intelligence and simply Boro-ness of it alland I hope he gets to join the boys on his illegitimate offspring — “Diasboro”…..
Diasboro it is for me too. See you all there. I think there is a good media studies dissertation and cautionary tale to be based on all this. “Free Press” versus “Free” Press and the rise of the citizen journalist. Thanks for all the time and effort AV. Enjoyed ten years of superb leading lines and following posts. Best wishes with your future work. You desrve better. Thanks to AV for all he has done and thanks to RR for providing a new home for us. Very sad to leave Untypical Boro behind. AV, thank you so much for several fantastic years of your blog. I have loved every one since I discovered it during the Southgate years. I very much hope we haven’t heard the last from you outside of your work for the Gazette. All the very best to you. Maybe AV will come and join us when his big money move to the Northern Echo takes place. All the best at Stalag Luft Gazette. Thanks for the blog, we will know if you sneak a peak because I have put a Plagiarism curse on Diasboro content. Thank you, AV and contributors, for Untypical Boro. I – and we – will never forget it. Very big and sincere thanks for all your hard work AV. I applaud your contributions to the world of the boro and the standard of writing which was unleashed without the constraints imposed by the powers that be. Hope to see you back in untypical land sometime soon. AV. I am so sad that your wonderful blog appears to be coming to an unnatural end. This has been a part of my Boro supporting life now for several years, and never a day goes by when I don’t read it, wherever I am in the world. 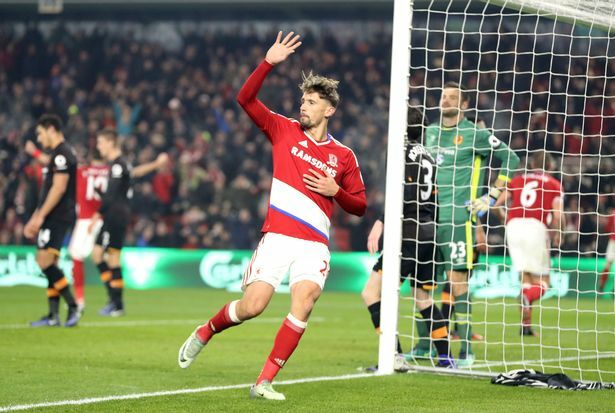 To Boro supporters, this blog has been a godsend, because it has always offered us an alternative view of the club and a terrific insight into workings behind the scenes. Your writing is of exceptional quality and I’ve loved your hugely intelligent and always superbly well-reasoned articles. Thank you so much for everything you have done. I will miss this blog immensely. Many thanks to AV and the bantz crew that has made this blog unmissable over the years. My ex-pat match day ritual is to read the Gazette then get the real write up and news and views on Untypical Boro. And, now, the end is near, and so I face my final post. Thanks for everything AV, and if you find yourself a suitable pseudonym, come and join us at Dias Boro. Bye bye bye bye…salute to Status Quo and to this piece of my life which I visit so much.Thanks to you all for the pride shown in being Boro supporters. Well done AV you must be proud but seething inside that your narrow minded bosses do not recognise a gem when they see one..wish you had defied them and sent out a rallying call to us. Good luck all and its now off to Diasboro. I think it right that AV should have his moment in the spotlight, and I do mean a bigger stage to display his talent and wit. I think he will move on to bigger things as there must be an opening in the present climate of ever expanding interest in football. If Mirror group do not move him to London where his talents will surely flourish with daily chances to exercise his wit and humour on a worldwide stage. Thank you, AV for this blog. As said earlier I have made several friends in here. The definate highlight was the get-together at the Navy a few years back. Thinks for that to you and fellow bloggers. In AV we trust. Up the Boro! Well, time to move on I suppose – many thanks AV – this was the only place honest match reports could be found and so was a godsend to the diasBoro especially expats like myself. In the PL we do get to see every game now which is some consolation but I always watch the match again a day or two later with the benifit of the blogs observations. This blog is very knowlegable and astute and brings a view of the game that I had never noticed before. I cant wait for table top 3D tele to arrive where the players are like large subbuteo characters and you can sit at what ever end opf the stand you choose. Who knows maybe technology will give us the ability to have conference calls during the games so we chat and call the ref a ***ker in real time. Anyhow until then its off to the Diasboro with the rest of the chaps and once again my heartfelt thanks for all you have given us over the years. Thanks for the memories AV. Great blog, a real gem. Shame to see it end like this but all things must end I guess. Thanks for the blog AV – I’ve certainly enjoyed reading it over the years. Sad to see it go, but everything moves on. Well, that’s that then, who’d have thought that it would go out with a whimper. Shame you couldn’t have given the fingers to the string pullers AV, after all I thought that you were a man who would stand his ground regardless, but as was pointed out earlier, principles don’t pay the bills, I know! Thanks AV for what has been my home daily read for goodness knows how many years, even though I could have contributed more in terms of posts, hopefully I’ll up my game on Diasboro. Am I turning the lights off or is there still someone in the building? Thanks AV, for everything that you have done since I discovered “Untypicalboro” it has been my daily read from that moment, I know my contributions have been less in the recent past, but I have still read the blog every day like others who stopped contributing. I wish you and all your family all the very best for the future and again my heartfelt thanks. Read this blog must be nearly everyday for I don’t know how long (must be 10 years. Thanks for some great blogs AV which stimulated some great talking points, Just a shame it had to end like this. All the best in the future. Thought we’d all gone ! Still out here on the left wing, but there’s no one left to play with on this pitch now. I’m going to ask for a transfer to another blog. BTW, I did post once before saying that there was no such thing as “Free Speech”. Maybe we should have all chipped in then. I still won’t be posting all that often, but I’ll see you all over at diasboro. Just wanted to take the opportunity to say thanks Vic. This blog has been brilliant over the years. The best around, in fact. Thanks for making in possible and for your top class input. For those interested, Vic is still very active on twitter and FB. Well, I love AV but not the Gazette, they have become irrelevant and simply not worth bothering with. Goodbye, and thanks for all the fish. We are the DiasBoro, we are everywhere, we are. I may be one of the last to say it, but no less genuine for all that: thanks very much AV for all the work you have done over the years in lighting the blue touchpaper with your comment pieces, and then moderating the replies. It has been a pleasure to read the articles, and to see the pieces submitted by many different contributors. A large number of thought-provoking views expressed by people who nearly all obviously have the Boro deeply embedded in their hearts. We haven’t always agreed with each other but we have MOSTLY kept the disagreements civil and reasoned rather than abusive. There can’t be many football blogs digressing into analysis of various music genres, philosophy, history, politics and the theory of warfare, which have seen humour and fictional pieces and which have included different types of poetry attempted. Of course it might all have been the work of an evil genius, creating multiple false identities in order to give the illusion of a heavily-populated community of Boro supporters in the UK and around the world all eager to type away into the night to comment on the latest match, or the current transfer rumours. Occasionally short sentences were used, too. Well – it MIGHT have been fictional but for the fact that a number of us managed to get together a few times in the Navi, and we were able to put a face to a byline or avatar – if I remember correctly as a result of communications between AV and Jarkko. And of course there was the meeting with Steve Gibson in the Riverside Directors’ Lounge. I suppose that COULD have been the work of an overactive imagination, but I prefer to believe not. I have had the pleasure of reading many well-written articles and if there is clearly some talent out there if the quality of the replies is anything by which to judge. So, in short, heartfelt thanks to AV for all his efforts which have made this an entertaining and informative football blog. It will be missed. Anyone seen GHW, is he locked in his shed? Will he be lost in cyber space? All by himself with HAL. If I recall correctly doesn’t GHW have his own blog page somehwere? He’s not an alter-ego for AV himself is he ?….. would go a long way to understanding his propensity for snatching the 100th post! I hope GHW is fit and well.